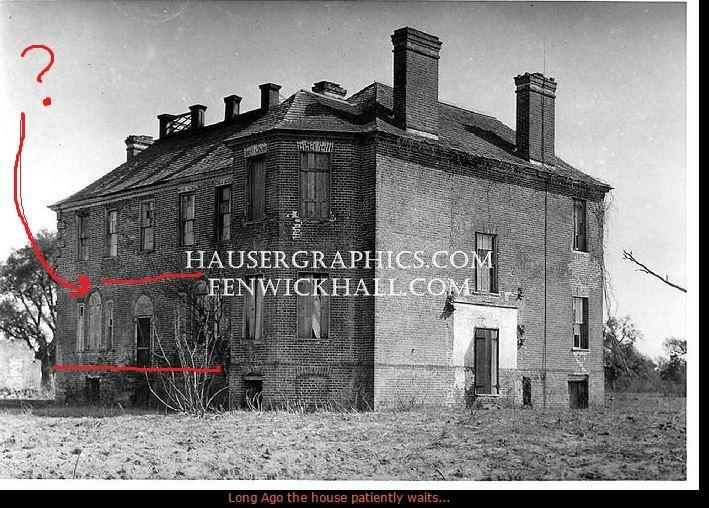 The continued researching of Fenwick Hall has gone on for years now. But Fenwick is still keeping many secrets. It has been discovered that once there was a porch or portico on the River Side of the house. Archeology has located the corners of the porch deep in the earth. And there is marks and repairs thru the brick where it attached to the house. The portico was most likely two stories tall, with openings onto the balcony from the second floor. We have been unable to locate any images of this side of the house older than the one above. We are hoping someone out there has a photo and may not even know what the photo is of. Any photos would really help with the restoration to the way it was back in the days of the Fenwicks..
--sorry, but please do not send me request to tour or chase the ghost at fenwick. 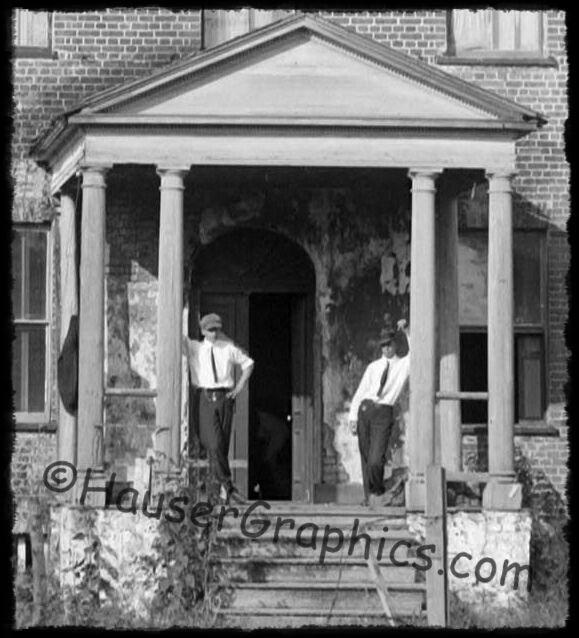 Nor wedding venue request either.. bummer I know..
#2 Request: Below is another photo of two men (boys) in their Sunday Best standing in front of the Big House in the early 1900's. Would be great to find a living relative. I think the 2 boys may have been the sons of the FH caretaker (it was in ruins at this time). The caretaker may have lived in the Carriage House to the left on the manor. What is their names ?